According to the Arthritis Foundation, arthritis is a complex family of musculoskeletal disorders that is not fully understood. This condition has many causes and can get in the way of or stop physical activity as different types of tissue are destroyed. 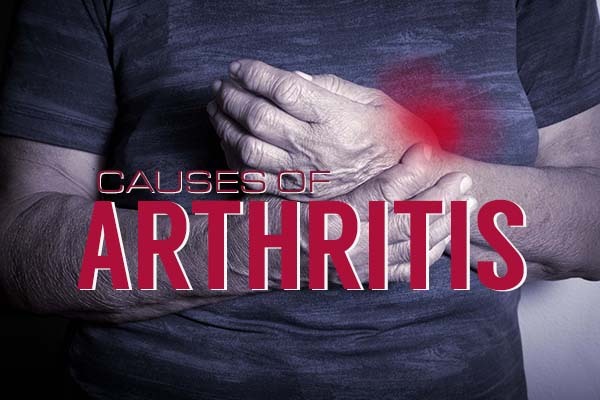 Osteoarthritis is a common condition caused by gradual wear and tear on the joints. 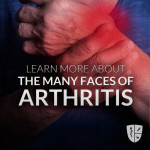 Common arthritis joint symptoms include swelling, pain, stiffness and decreased range of motion. Symptoms may fluctuate and can be mild, moderate, or severe. Symptoms may change very little for years, but may worsen over time. Severe conditions can results in chronic pain, inability to do daily activities and make it difficult to walk or climb stairs. Arthritis can cause permanent joint changes. These changes may be visible, such as knobby finger joints, but often the damage can only be seen on X-ray. May medications, procedures, and other treatments exist that may alleviate some of the pain. Possible procedures include injection joints with steroid and medical branch blocks. The first method of treatment is usually a pairing of non-steroidal anti-inflammatory medications (NSAIDs) and low-impact exercise such as yoga or water aerobics. For those suffering from arthritis pain in the back and neck, a medial branch block may be an effective treatment. If the condition is severe enough, relief may only come with a full joint replacement. At Alabama Pain Physicians, our goal is to better the quality of life of our patients. We utilize cutting edge technology and advanced procedures to establish an accurate diagnosis and treatment plan to ultimately minimize pain and increase function. We strive to provide compassionate, comprehensive care for patients with painful conditions.